Please use this handy guide to help you get the most out of your membership from quarter to quarter. To download a printable copy of this checklist, click HERE. Thank you to our Allied Partners and if you have any questions, please don’t hesitate to Contact Us. Renew your Allied Partner Membership in early January to ensure publication in DFA Directory. Verify that the DFA has your correct corporate address, logo, and contact info on the DFA Directory. Reserve advertisement space in the DFA Directory and Buyer’s Guide HERE (Send your artwork by January 15th). Register for the DFA Allied Partner Summit Meeting & Golf Tournament HERE. Test your login credentials in the “My Account” section of our site HERE. Verify that you are receiving quarterly issues of the DFA Newsletter. Verify that you received your copy of the DFA Directory and Buyer’s Guide. Reserve a Booth Package for the annual DFA convention HERE. Make sure to pay for your Booth Package Reservation by March 15th to receive the Early Bird discount. Submit any advertising or FREE articles for the Spring Newsletter by March 1st (Publish date of April). Verify that you have the current version of the eMembership Roster for marketing. Post on the DFA message board your important company messages. Prepare your presentation for the DFA Allied Partner Summit Meeting. Attend the DFA Allied Partner Summit Meeting and Golf Tournament. Follow up on the leads or actions from the AP Summit Meeting. 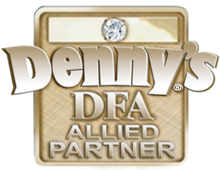 Send thank you notes to the DFA Board of Directors and Denny’s Inc. from the AP Summit Meeting. Register for attendees’ credentials for annual Convention (3 badges included in booth package). Develop marketing plan to target franchisees prior to convention. Submit any advertising or FREE articles for the DFA Summer Forum by June 1st (Publish date of July). Review DFA message board and post our important company messages and updates monthly. Register for the Sponsor Invitational event (Invitation is to Title Sponsors – Silver Sponsors). Complete exhibitor kit prior to deadline — Please see Convention Info page. Execute marketing plan developed to target franchisees. Submit any advertising or FREE articles for the DFA Fall Forum by September 1st (Publish date of October). Verify that we have the current version of electronic DFA membership roster for marketing. Review Golf Tournament patron contribution opportunities. Follow up with leads from convention. Submit any advertising or FREE articles for the DFA Winter Forum newsletter by Nov. 30 (Publish date of January). Reserve booth for next year’s DFA Annual Convention by Dec. 31st to receive an Early Bird discount. Renew Allied Partner Membership by Dec. 31st to ensure publication in Directory & Buyer’s Guide. Review DFA Annual Sponsorship Opportunities. Verify that you have the most current version of the DFA membership roster. If not, Contact Us. Send out holiday cards and greetings as marketing to franchisees. Review DFA Message board and post your important company messages and updates monthly.